For each event you create, you are able to set up registration. 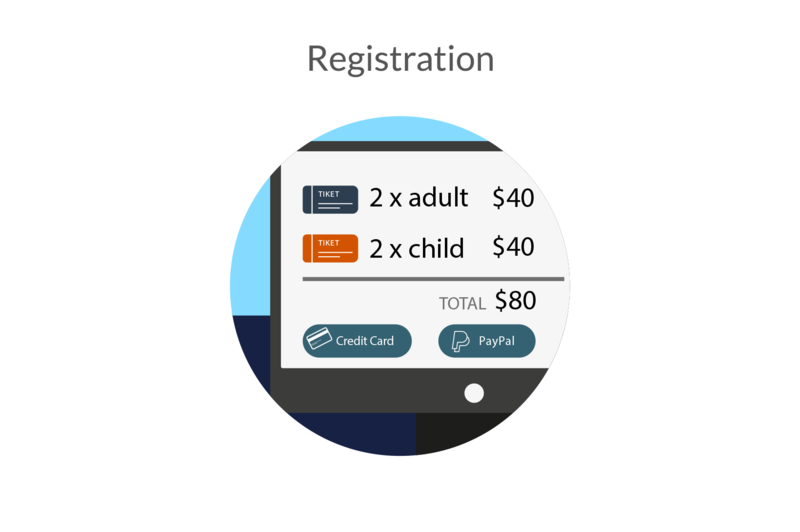 Registration allows you to add different ticket options at different price points. You can also apply discount codes and set the currency you wish to accept. If you have a limited amount of seats, you can set ticket limits, and you can even have different ticket price points if an individual was wanting to register to some of the occurrences of a repeating event rather than for the full event. Multiple online payment methods may be configured for paid events and you can configure tax settings based on your country’s tax laws. We also support free events that do not require payment by simply making the price of a ticket $0. Once you enable registration for an event, you can then create a Form that links to your event (go to this page for a step-by-step walkthrough). When a person registers for an event, they are emailed an invoice and tickets that contain a unique ticket number so that you can track who attends your events.